Only a small number of candidates who start in Real Estate listing and selling survive in the job for more than two years. An even smaller number go on to earn the superstar salaries that Real Estate has become famous for. Find out if Real Estate selling is for you before you waste years of your life. We will show you exactly what your potential is AND help you with strategies to get a job within the industry and start you off with learning to sell. Real Estate is the best-paid industry for sales roles but with the highest failure rate among new recruits. If you are considering a career in real estate sales you must read this advert! Wondering if you could succeed in real estate if you have had no selling experience? Unemployed due to the global financial crisis or someone’s opinion that you are the wrong age? You have finished a degree and are wondering what to do next. You spent the summer break dreading returning to your old job. You have a job selling real estate but are wondering if it is really for you or did you join the wrong business/industry! When we advertise for our clients in Real Estate they always get a huge response. Seems everyone is interested in a real estate career? After all, it has many attractions: huge financial rewards for those that succeed, the independence of running your own show inside someone else’s business so they take care of all administration. Plus, unlike any other sales roles, the convenience of working in your local area! Like many highly paid careers, real estate requires you to commit to taking a journey to acquire the skills and experience to become effective. In other professions, you may have to do years of formal academic training, like a university degree, before you can even start work even before you earn your first dollar and even then the rewards are less. Selling, especially in Real Estate, has nothing do with academic ability or formal study. Some very well educated people have failed in sales as much as school leavers. The reality is that neither age nor education is in any way an indicator of potential success. So how do you find out if you should join the industry without wasting years of your career or thousands of dollars training yourself? By completing a SIP the industry excellence benchmark assessment. Now there is a way of knowing your sales capacity before you start the job even if you have never sold or even worked in the commercial world; a SIP assessment. Many real estate businesses across Australia are using SIP (Sales inventory Profile) to hire new agents. SIP is a sales IQ assessment developed in Australia by benchmarking already successful agents. 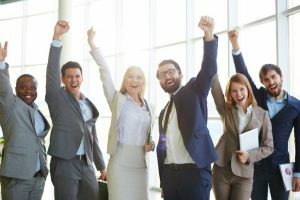 Those hiring using SIP are experiencing a 70% success rate in the new staff growing into good sales staff, that’s a long way better than the industry average of 10%. Imagine approaching a career where you are confident you will succeed and knowing how to get started? The Comprehensive Report is a 14 page document that will clearly answer that first question “could I become a Real Estate agent?” You can show this report to prospective employers in place of a résumé (CV) or include the SIP Certificate of Sales Potential within your résumé. The first of a five-part training program called “Emotions in Selling” to help you begin your sales training. A guide on how to assess which agency you want to work for and how to present yourself to the Principal to ensure that you get the interview and the actual job. Scroll to the bottom right-hand side part of the home page and click inside the 3rd grey box titled; Could you have a career in sales?. Press the blue ‘Start Now’ button and you will go to a registration page. Once you have started the questions it is best to do them all at once, the average time to finish is 30 minutes but some folk do take longer. You can stop, log out and come back anytime if you need to from the top of our home page by entering the username and password you choose for yourself when you completed the registration page. You will receive your ‘How To Get Started In A Career In Real Estate Guide’ in a separate email from us. When the Guide is updated you will automatically receive the latest versions for free. For a $198 you are able to firstly compare yourself via self-assessment with the industry benchmark for excellence and see what level of performance you can hope to once you have had some training and time to practice. What is the real upper limit for personal income in Real Estate? Many recruitment adverts for real estate agents that you might have already read say things like ‘uncap your income’ or ‘unleash your income’ or ‘rocket boost your income’, but is that really feasible? Actually yes!. There are plenty of real estate agents in suburbs across every city and the smallest country towns whose personal income is $500,000 or more per annum before tax. That is possible for the truly well suited and you will know from your SIP score if you are in this group. 10% of all the people who ever started in real estate are this well suited and after 5+ years of experience, they are really are earning that level of income. There is a further 10% of all starters who could earn around $300,000 per annum, also a very good income compared to a doctor or a lawyer who also invested 5 years in learning their profession. But this second 10% only make it with consistent training. So there is a larger group who fail but if they had better training would have succeeded. Find out where you fall on the sales capable scale by completing a SIP. You could be in the very top 10% or the second 10% and then you can plan to make whatever effort is required for you to succeed. But if you are in the other 80%; let’s rethink your career now. There are plenty of other great products to sell where the sales capable range is much broader and you can still earn $100,000 plus in the same time period. Find out if you can be a star in Real Estate! Take control of your career and start your assessment now by using the instructions above.